Michael Viggo Fausbøll. 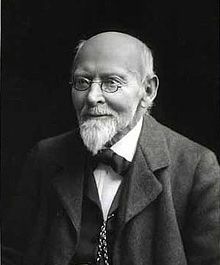 (September 22, 1821 - 1908) was a Danish pioneer of Pali scholarship. Fausbøll was a Professor of Sanskrit in Copenhagen. His version of the Dhammapada was the basis for the first translation of this text into English, by Max Müller in Vol. 10 of the Sacred Books of the East. In the same volume he translated the Sutta Nipata. He also edited the Pali text of the Jataka Stories.